Add a fashionable twist to day and night time looks with this beautiful diamond set pendant. 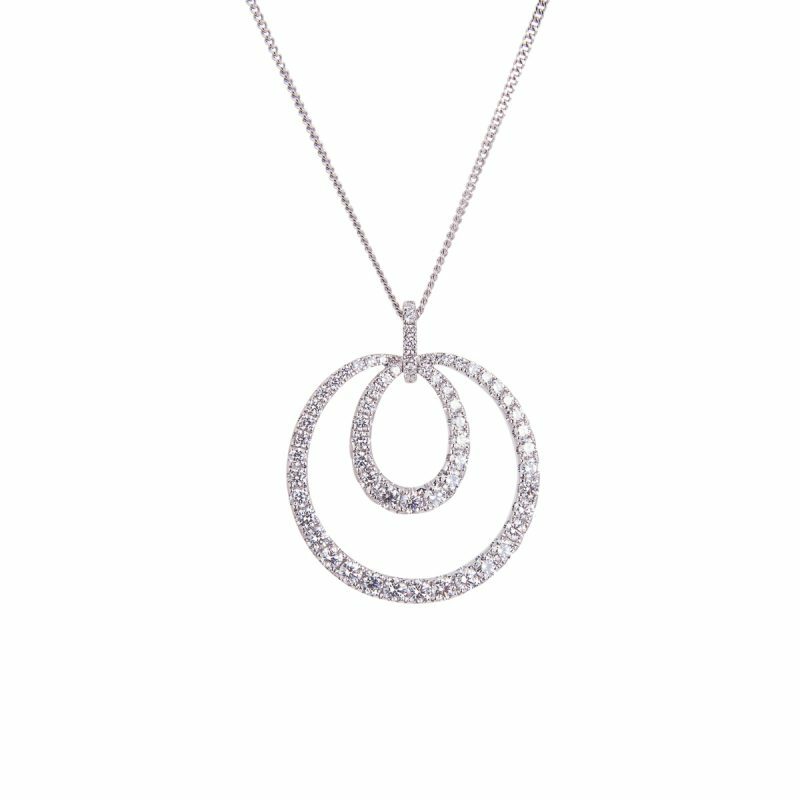 Two enclosed circles of sparkling rare white brilliant cut diamonds are mounted in an 18ct white gold setting to create this modern pendant. Priced here complete with an 18ct white gold curb chain.